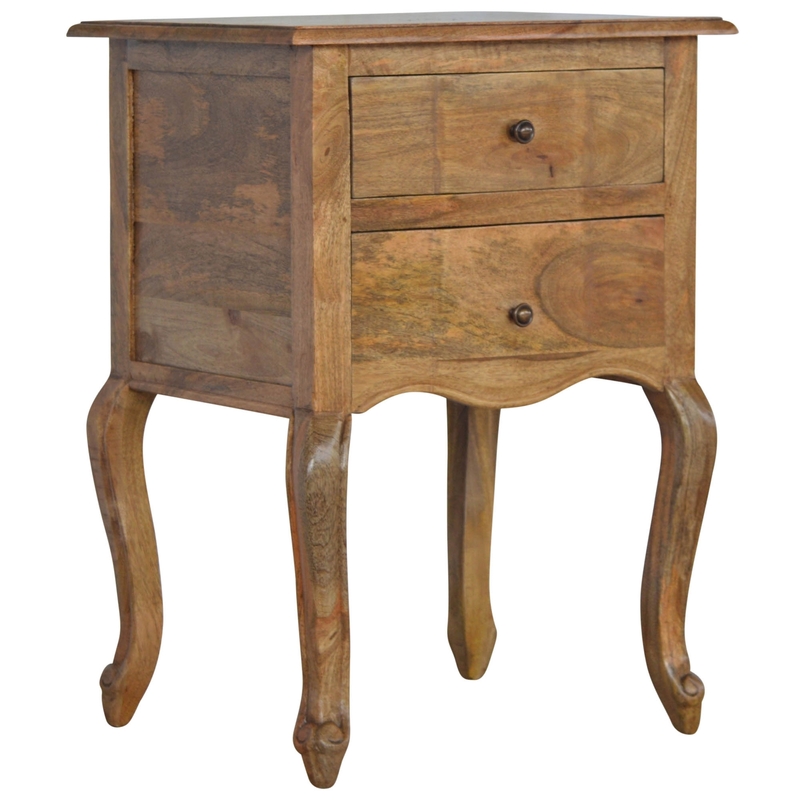 Essential to any bedroom, this 2 drawer bedside table will effortlessly add elegance to your home. The 2 drawers which are featured offer a lot of storage for your clothes and other personal belongs and the top of the bedside is great for any displayable decorations you wish to put on show. Delicate hand carved swirls featured on the base of the bedside and the sturdy French inspired legs make this bedside beautiful and desirable to all handmade furniture lovers. Oak effect finish and brass handles, this bedside has been built to last.